I’m quite the creature of habit — a trait I got from my parents, who tend to dine at the same restaurant each week/month. 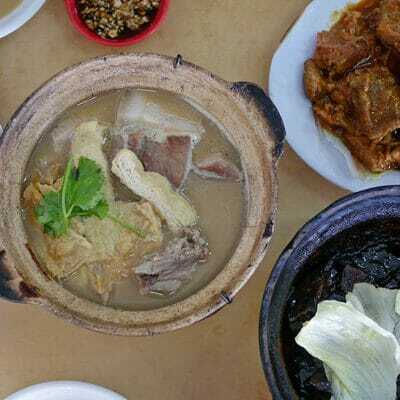 Chakri Palace in KLCC was one of them; a favourite of my father who orders the same dishes every time we’re there. The menu has since evolved and now comprises modern Thai dishes along with the old favourites my family and I would have. Chakri Palace’s new menu features 13 new dishes, inspired by Chef Mc Dang, a celebrity chef and food expert in Thailand. 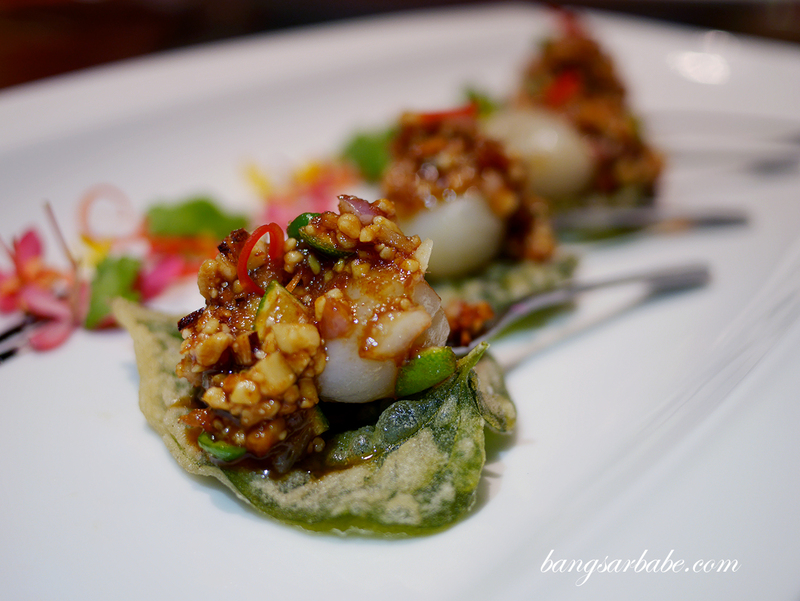 Chakri Mieng Kham Scallop combines traditional Mieng Kham with sweet, succulent scallops, making it an indulgent starter. 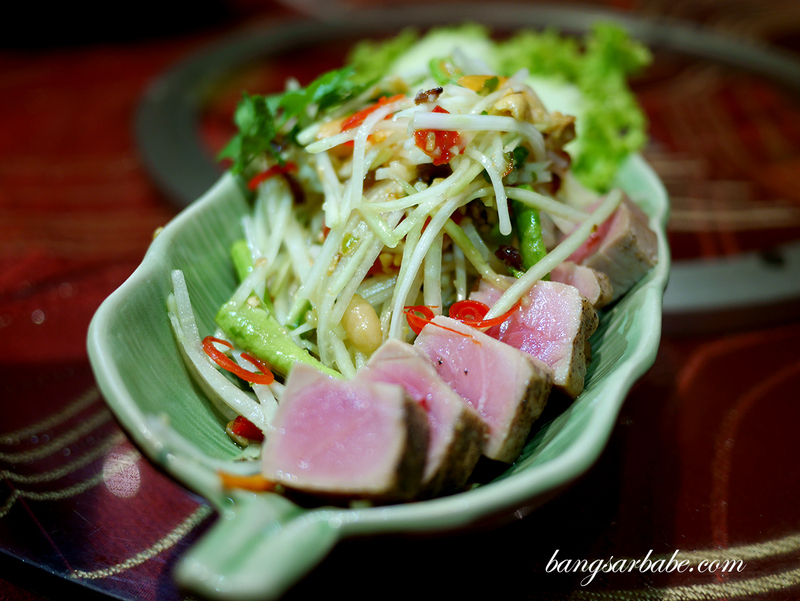 I found the Thai Papaya Salad with Tuna delicious – tangy from the julienned young papaya with the savoury undertones in the fish. 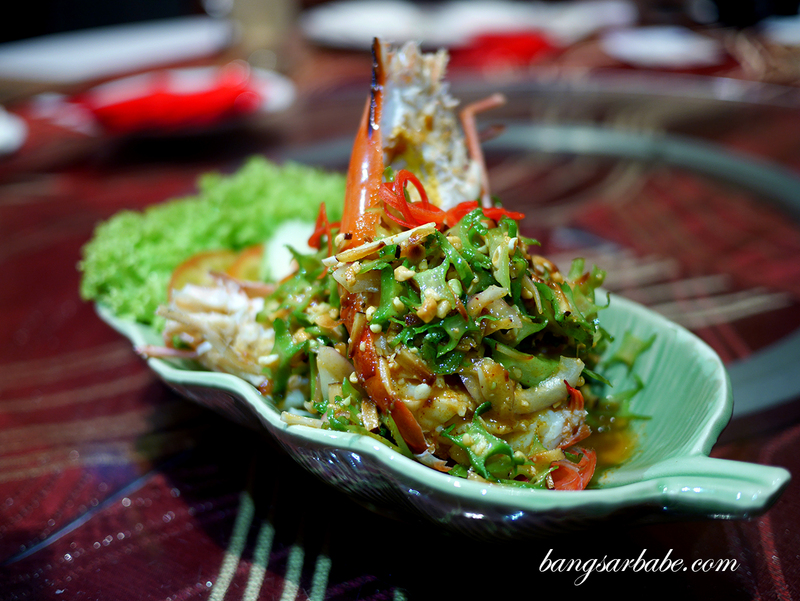 The Four Winged Bean Salad features a large king prawn with winged beans, roasted coconut flakes and peanuts. While it was visually pleasing, I would have preferred more oomph from the seasoning as it would pair better with the creamy prawn head. 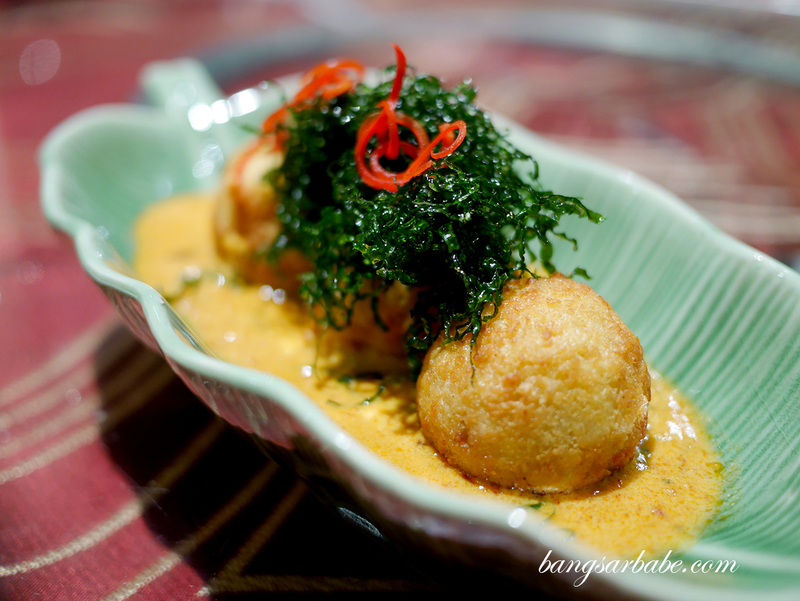 rif liked the Premium Crab Ball in Yellow Curry which went well with steamed white rice. I didn’t care much for the Deep Fried Seabass with Phad Cha Sauce though it looked visually appetizing. 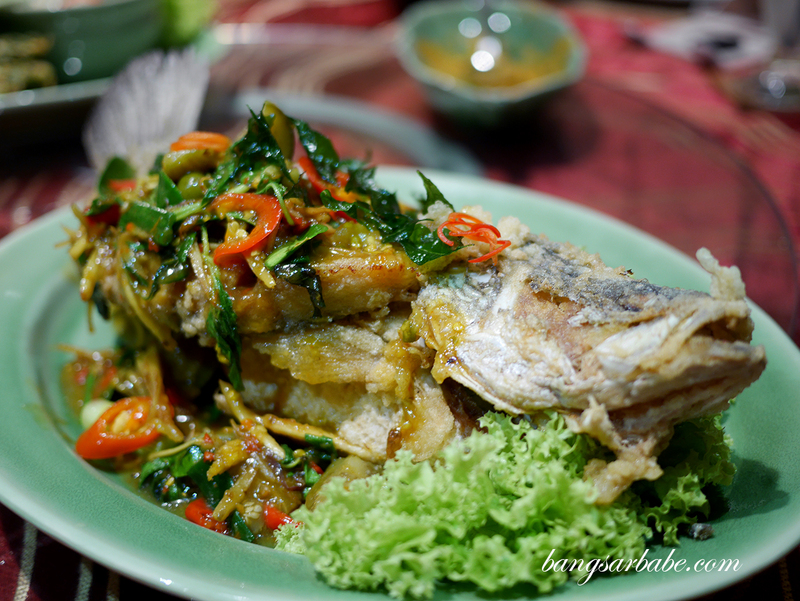 The fish is topped with a chilli, ginger and lemongrass sauce for oomph. 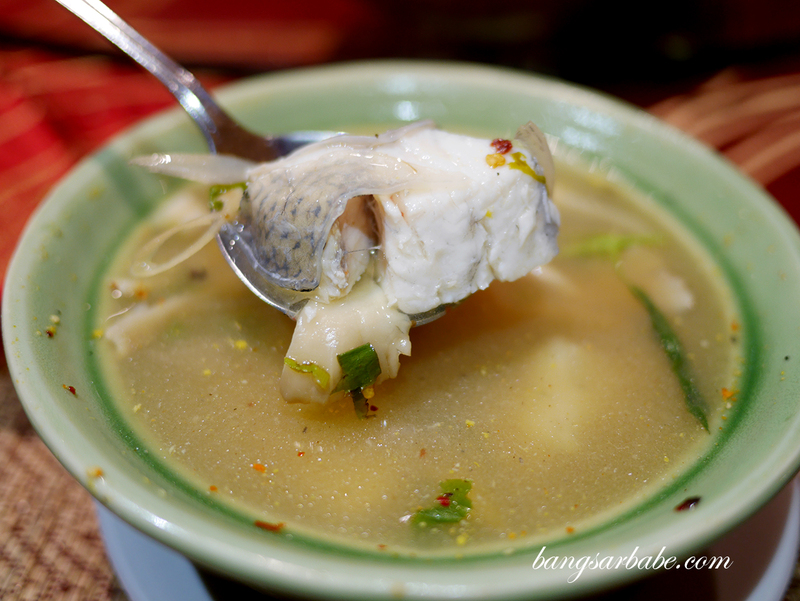 Not something that rocked my boat as I prefer the regular steamed fish with lime sauce. 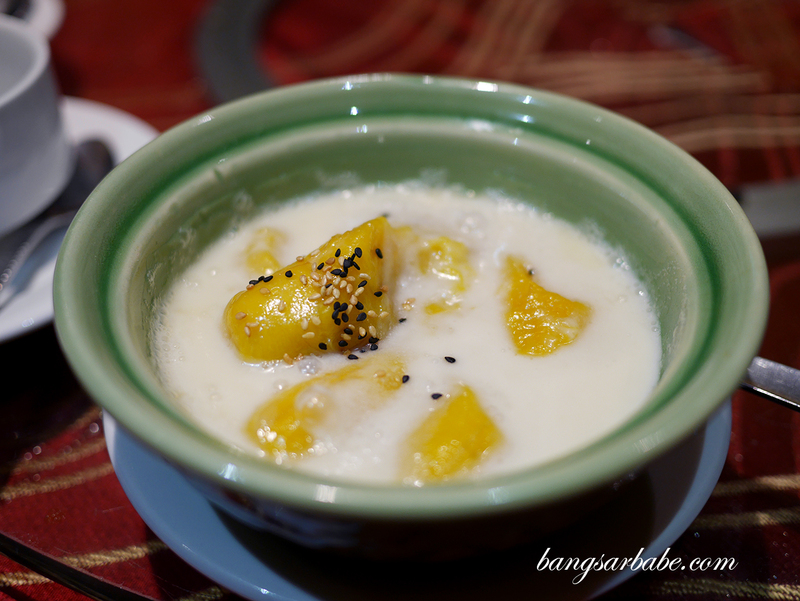 Desserts were relatively new for me too, like the Glutinous Rice Ball in Coconut Cream. This is said to be a royal Thai dessert that is rich and sweet, but I feel a pinch of salt on top would balance the sweetness better. I also felt the same about the steamed Sweet Banana in Coconut Milk. Red Ruby with Mango Sticky Rice Spring Roll looked like a fusion of mango sticky rice and tub tim krob, but personally, I like them as they are. This one didn’t taste particularly Thai to me, though it was quite tasty. Chakri Palace’s new menu is available to all diners so for the adventurous, give it a try. 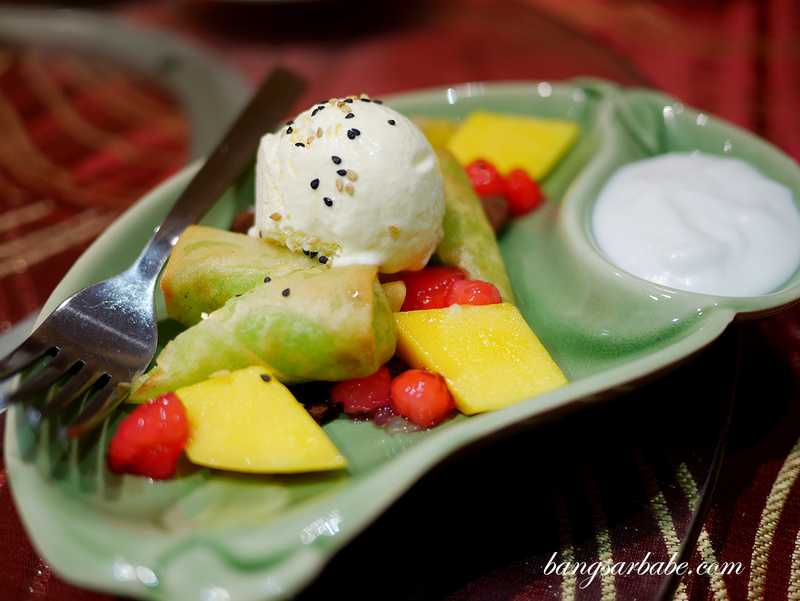 If you’re all about Thai classic dishes, these are also available at the restaurant. 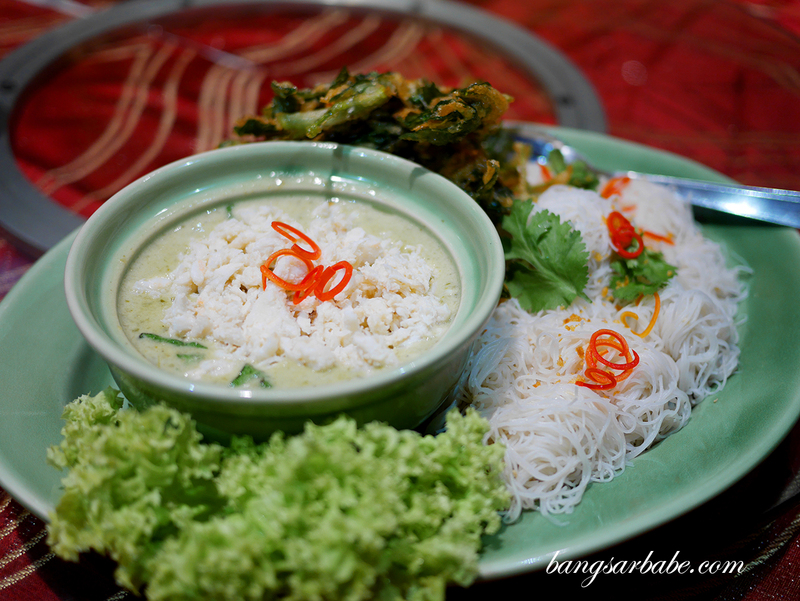 Verdict: The green curry crab meat with rice noodles is worth checking out.